Reduction of flicker on the feeding network. The reactors are series connected with the furnace transformers and have some regulation taps (for the reactance regulation) operated with either an onload tap changer (OLTC), for maximum flexibility, or with a de-energized tap changer (DETC). Located next to the transformer (On Board Reactor). In the OBR (On Board Reactor) solution, the reactor and the transformer are linked by a removable cable duct. 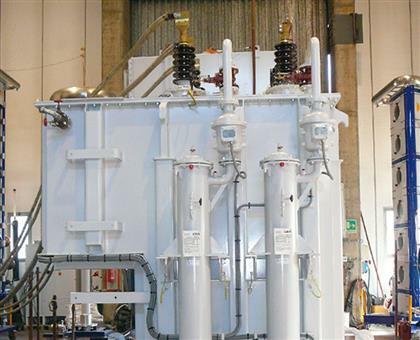 Tamini has designed and successfully supplied many different types of transformer/reactor solution. Among them the "Booster-type" one, in which the reactor is built-in, is the solution that optimizes the voltage/current values in the transformer regulation circuit.